Also, my friend Sharelle, who has impeccable taste, has been raving about Castle (Nathan Fillion as a writer!) for years. So when I finally got around to watching Castle, I was not surprised to find that I loved it. 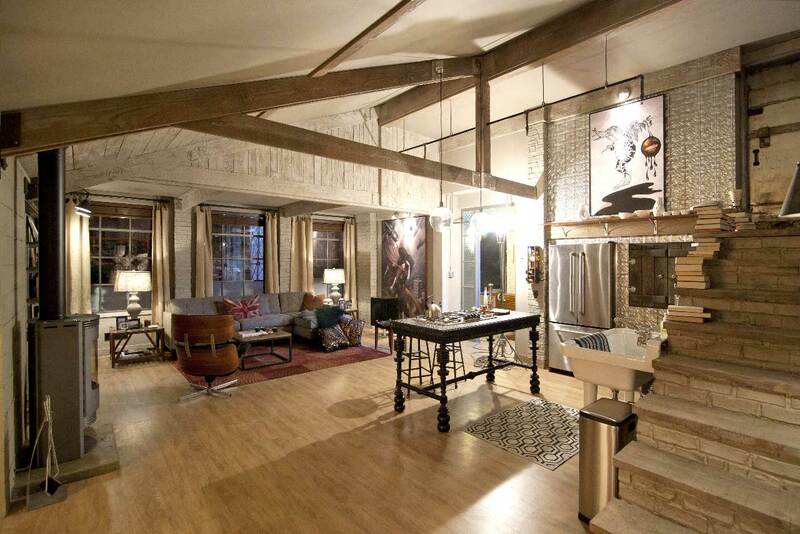 Let's take a moment & admire Detective Kate Beckett's sweet loft apartment, shall we? A union jack pillow, always a good thing. Check out those bookshelves on the left. They are individual shelves, staggered randomly on the wall. 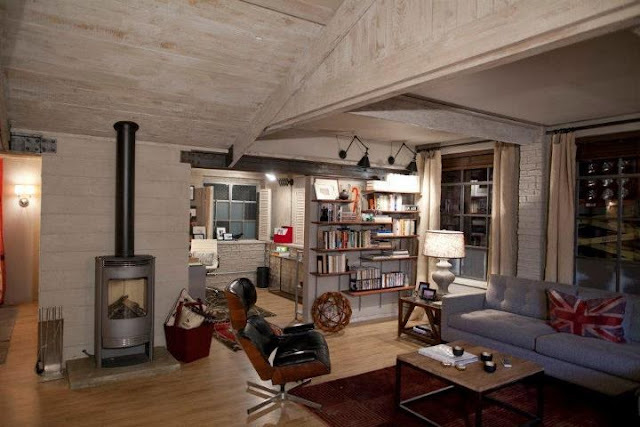 Industrial lights attached over the bookcases. In fact, the lighting in general is really good. Supposedly that door leads to a rooftop garden. And Stana Katic (who plays Kate Beckett) is adorable as always. And that room you can see is a little home office. 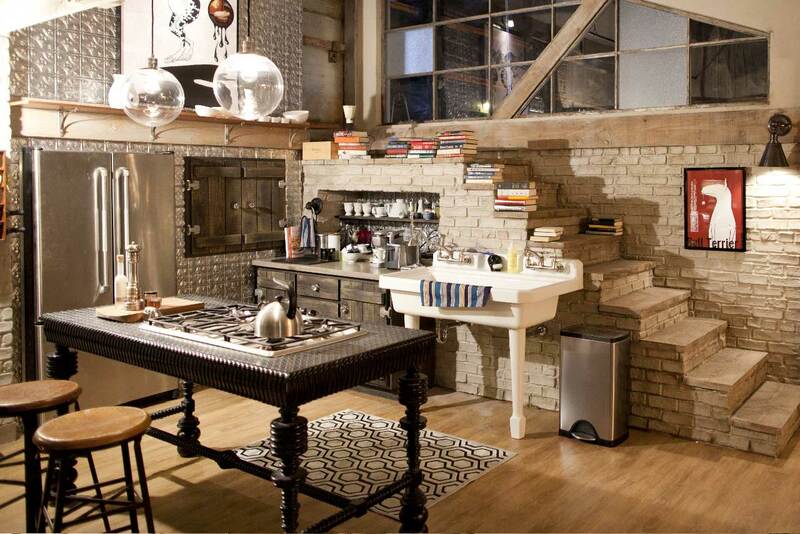 The look of Beckett's apartment is more stark & industrial than the way I tend to decorate. 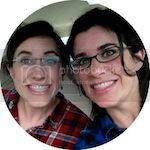 But there are a lot of great little details & the whole thing just works. The view from the front door. The fireplace & office are on the left, the kitchen on the right. And see those stairs on the right, with books stacked on them? That's the spot that leads to the roof. The stairs with stacks of books. 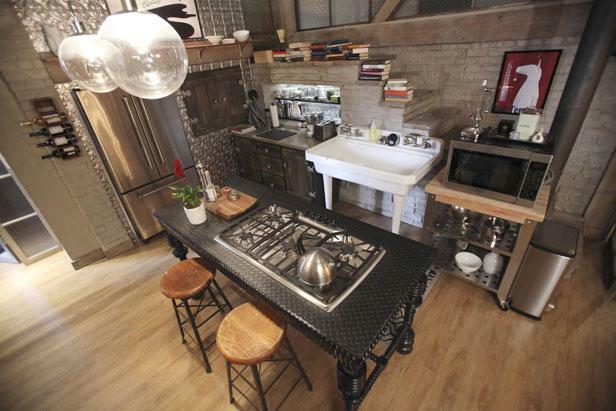 That table/stove top is awesome. And I think this use of small space would make IKEA proud. 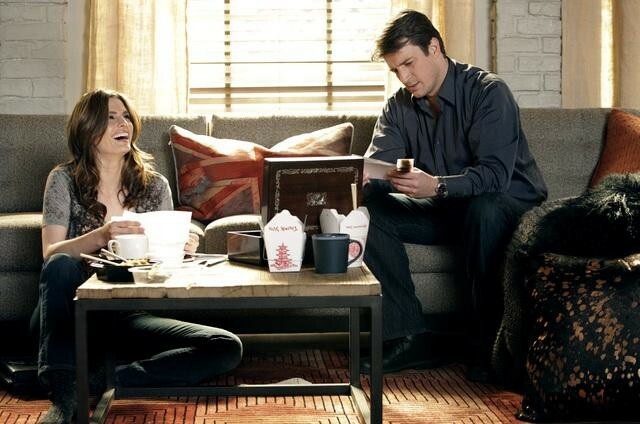 In the second season of Castle, Beckett's old apartment was blown up by someone trying to kill her. (It's rough being a NYPD Detective.) So when the designers planned this new apartment for her, they intentionally made it eclectic & industrial, with bits & pieces from her old apartment mixed haphazardly with new stuff. I just love that Kate Beckett so much. She has definitely joined the list of my favourite strong female fictional characters. 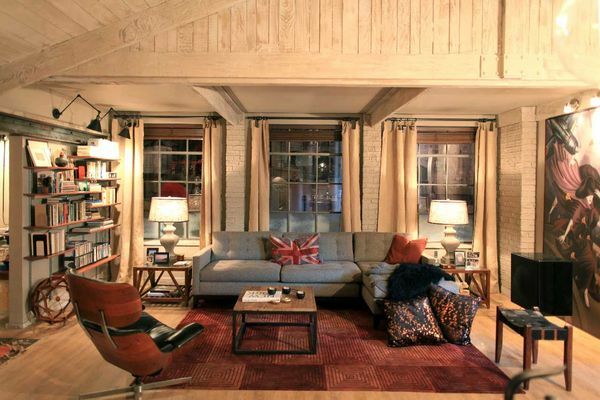 And I wouldn't mind living in that great loft apartment of hers. I'm so glad you have discovered the greatness of Castle. We love it too! 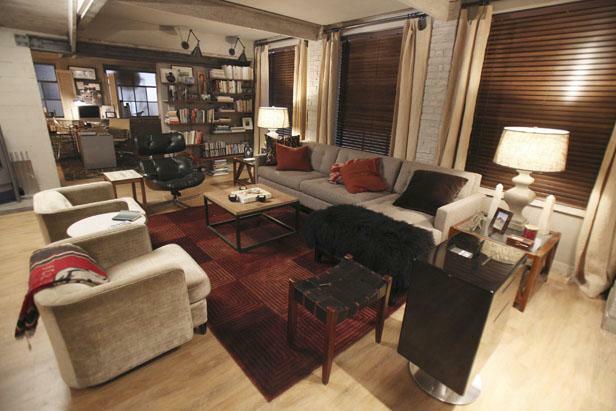 Thanks for the great post about Beckett's apartment.